Posted November 3, 2014 & filed under Coding Bootcamps, iOS, Web/Tech. Ricky has been tutoring in various subjects for the past 7 years. 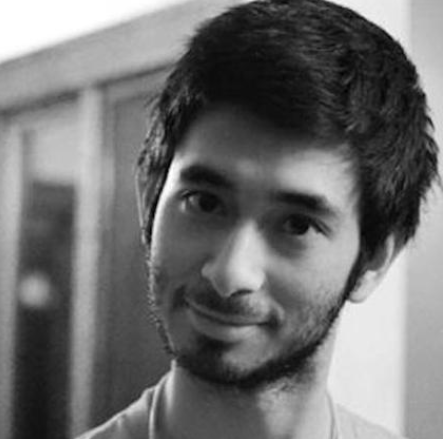 Prior to mentoring for Bloc’s iOS Dev program, Ricky was a Computer Science student then at Cornell University’s College of Engineering. He recruited more than twenty people to make it into a platform, and they called it ‘Wii but for Smart Phones’ (http://playsplat.com). This involved building several games on top of the platform. He mentored a good number of his teammates in iOS and Android, and some of his mentees have gone to develop for Amazon, Microsoft, and Zynga and built their own apps. His most recent app is an iPhone app that lets you and your friends see and join each others’ plans. Over the course of your career, working on dozens of projects, which one was your favorite and why? I ran a company called Splat. Splat was a small device that plugs into your phone and lets you play Wii- styled games with your friends, like real life Call of Duty, wizardry games, and Hot Potato. I grew a lot from the experience, and the opportunity for me to learn was boundless. What career advice would you give to someone who is learning to code and wants to become a professional developer? Do what you love. Life is too short to do otherwise. If you work hard and have the right mentors, there should be no concern about getting the job you want. What’s your favorite technical interview question and what’s a good answer that you’ve heard? Tell me something that you’re passionate about. What is the hardest part of building an app? Maintaining a huge codebase and improving it because there are so many moving levers at that point. It can be hard to navigate, especially if you don’t structure things correctly. Would you recommend Swift or Objective C for experienced developers? For new developers? Why? Swift: it is going to gain more adoption and support as time passes by, and it is a less verbose, more easy language to deal with. But it is important to know both. A lot of libraries are in Objective C and it is important to be familiar with it in order to interface with and work with that code. How do you stay up to date on iOS news? What do you think the biggest iOS trends will be in 2015? iBeacon will definitely become more prevalent in hardware and in apps. Think of a technical iOS development concept you struggled with as a beginner. How would you explain it to a beginner? Push notifications are always tough to configure, as you need the right certificates in the right place. Which tools, frameworks, and design patterns do you often use when developing iOS apps? Why do you like them? App.io is really nice, it lets you demo your apps online. Cocoapods is a must: it lets you easily integrate 3rd party libraries and keeps them updated for you. Crashlytics lets you easily track bugs when you deploy your app.